Asylum Access is committed to building a global refugee rights movement beyond countries where we have offices. 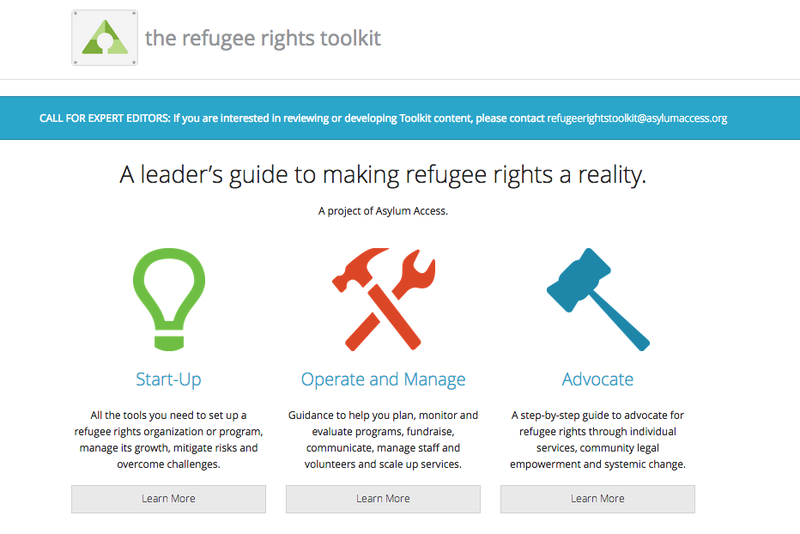 The Refugee Rights Toolkit is a product of Asylum Access, and has been made possible with support from United States Institute of Peace, Foundation for a Just Society and other funders. It is an open access online platform which seeks to develop the leadership capacity of refugee rights leaders toward the end of replicating the Asylum Access model in different local contexts. It is aimed at people setting up or managing refugee rights initiatives anywhere in the world. 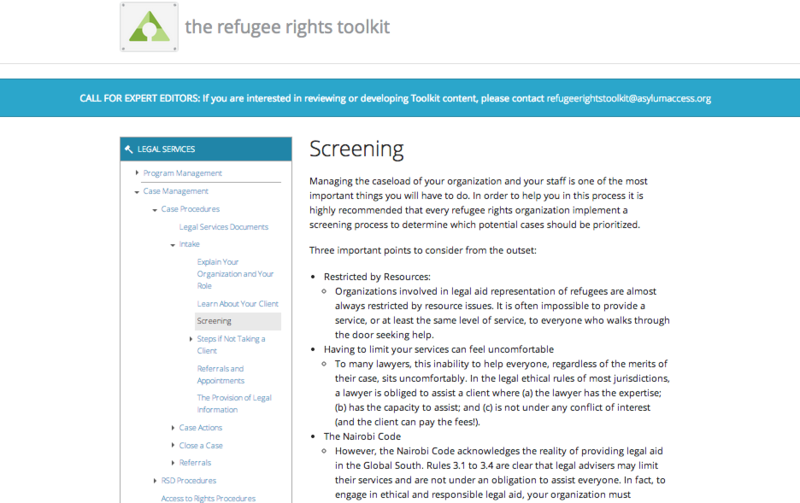 The Toolkit offers concise, practical advice on advocating for refugee rights through direct legal services, community legal empowerment, policy advocacy and strategic litigation. It covers topics related to start-up and management of an NGO or program, from fundraising and relationship building to human resources, communications, finance and monitoring and evaluation. Overarching topics such as ethics and gender-sensitivity feature throughout. The best practices contained in the Toolkit have been gleaned from lessons learnt over years of refugee rights work in Asylum Access’ offices in Latin America, Africa and Asia, and in the wider refugee rights and legal aid community. We invite you to browse the Toolkit at www.refugeerightstoolkit.org. You will be asked to create a login. Want to learn more? Get involved? If you are interested in learning more about the Refugee Rights Toolkit and Mentorship Program, contact us at refugeerightstoolkit@asylumaccess.org.